Opened new office premises at Goa on February 26, 2019. March 2018: Able join hands with EV Motors. EVM provides e-mobility solutions for large scale adoption of electric vehicles in India with a vision to Establish commercially viable e-mobility ecosystem to promote cleaner greener environment. 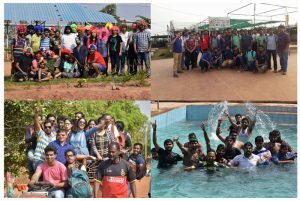 March 2018: A moment to re-energize and to create beautiful memories, team Able on its excursion to Adventure park. January 2018: Able join hands with camozzi as an authorized distributer for pneumatic kits for Bus Industry. Opened new office premises at Bengaluru. November 2016 : Purchased FARO EDGE SCAN ARM HD for Reverse Engineering & Inspection Services. Motor India Magazine: Able Design’s rich contribution to Indian bus industry evolution. August 2015 : 10th Anniversary : Team “Able” reached Milestone of 10 years. 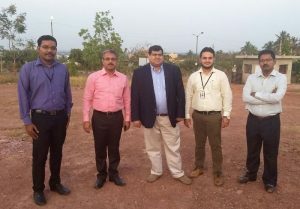 October 2014 : Shifted to New Office : Able Design moved to its own new office in Aryabhatta Techpark Navanagar, having 1.5 acre campus and 4000 sq ft built up area. July 2013 : Class-IV Civil Contractor : Able Design is been assigned as Class-IV Civil Contractor by HDMC.